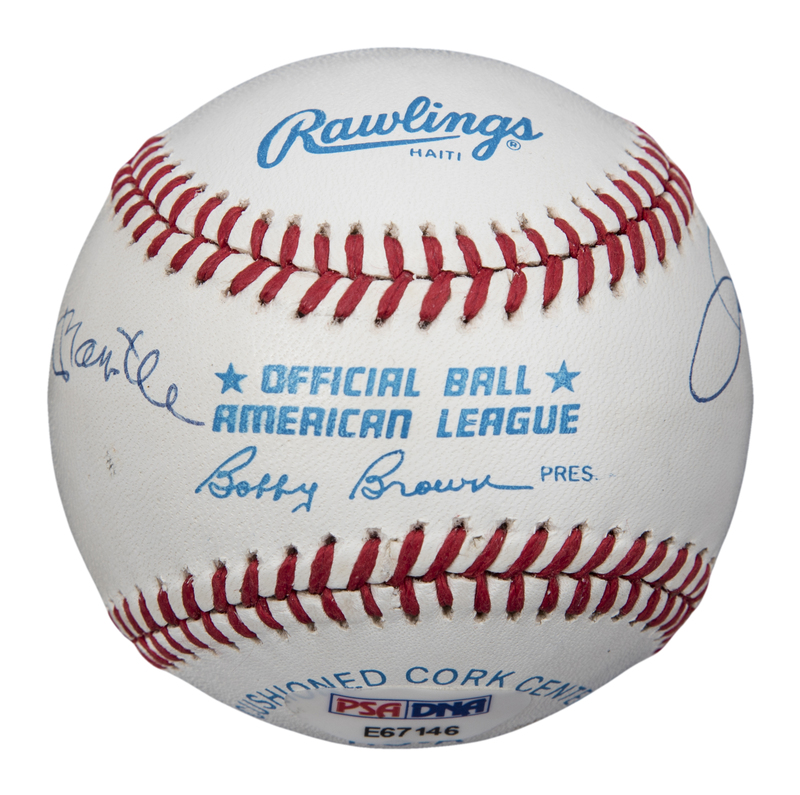 Offered here is an Official American League Bobby Brown baseball signed by a trio of the finest baseball players in the history of America’s pastime. 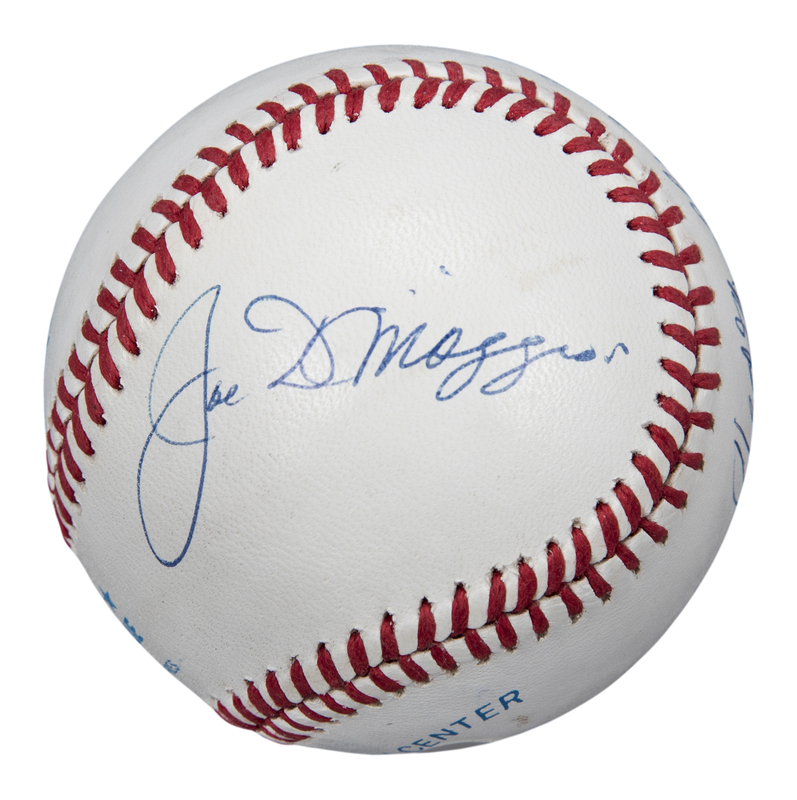 Ted Williams has signed the sweet spot of this baseball, while Joe DiMaggio has signed the north panel and Mickey Mantle the south panel. 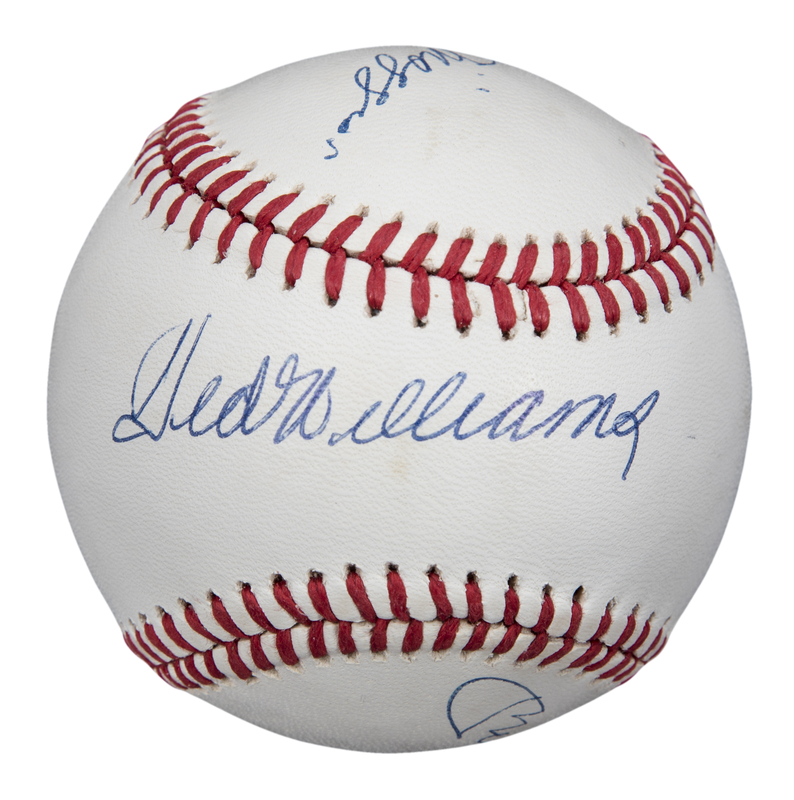 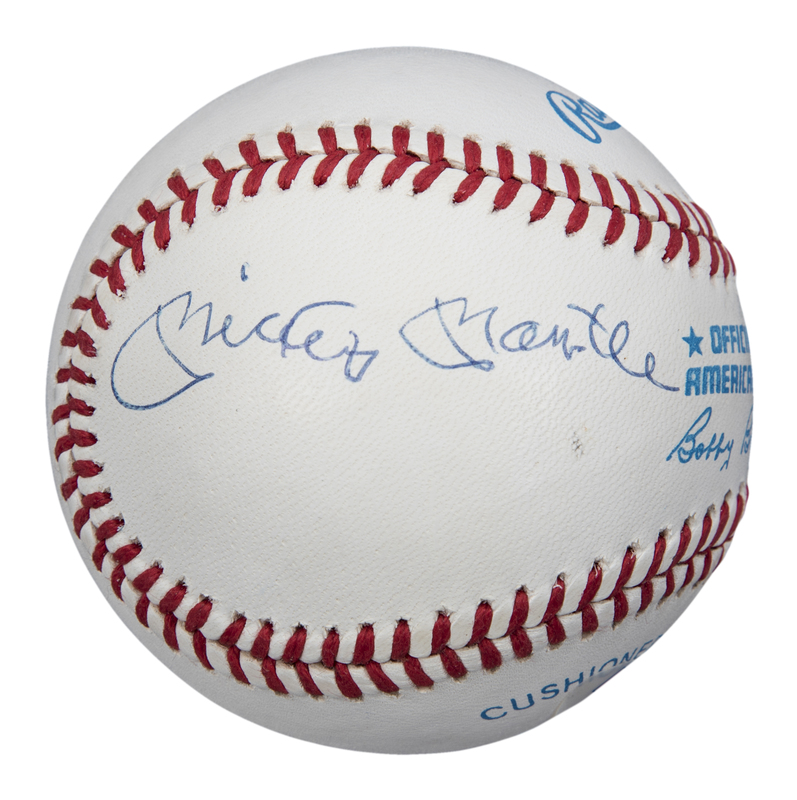 The signatures on this baseball have been written in blue pen. 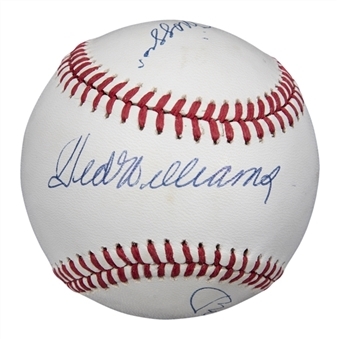 This item comes with a PSA/DNA STICKER ONLY (E67146).